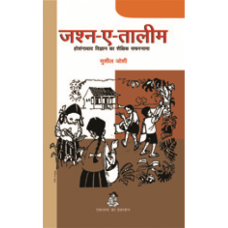 This book encapsulates the reflective account of the Hoshangabad Science Teaching Programme (HSTP), which demonstrated that hands on science teaching-learning that focuses on understanding than rote learning is possible in government schools. The author was one of the members of the HSTP team. The book provides an exhaustive narrative of ‘what happened’ during the rich 20 year long journey of the programme. 1. जश्न-ए-तालीम - By Niranjan Sahay, for detailed review in PDF format click here . 2. जश्न-ए-तालीम - By Sanjeev Thakur, for detailed review in PDF format click here .